A rich history, a bright future. Since 1988, we’ve built this ministry on our Christian faith and on the belief that everyone, everywhere deserves a decent, affordable place to call home. In 1988, we began working locally with a small group of dedicated volunteers and their desire to eliminate poverty housing in our community. Today, we have served nearly 500 families and have changed the face of many neighborhoods. Through the years, we have maintained our unrelenting determination to offer families strength and stability by offering a hand up, not a hand out. Here is a glimpse of the history and accomplishments that have shaped our past and continue to shape our future. We can’t say ‘thank you’ enough. None of what has been accomplished so far would have been possible without the support we have received from our generous donors and devoted volunteers. We are so thankful for every dollar and material donated, every ReStore donation and purchase, and every hour of volunteer time invested. As we look to the future, we remain excited about the opportunity to put our Christian faith into action, to be a blessing to future homeowners, to work tirelessly with volunteers, and to continue transforming the communities we serve in east central Ohio. Since 1988, we have helped over 500 families achieve the dream of homeownership. Over 2,200 individuals live in the homes built and renovated by Habitat for Humanity volunteers and future homeowners in east central Ohio. Approximately 1,800 of these individuals are children. Since Habitat for Humanity ReStore opened in Canton in 2005, thousands and thousands of tons of reusable materials have been diverted from landfills through merchandise sales and recycling. At ReStore, every donation and purchase helps us build and renovate homes with hard-working east central Ohio families and children. Learn more. We tithe 10% of each unrestricted donation to build houses in Bangladesh, Poland, and Lesotho – in southern Africa. In 2006, we became only the seventh Habitat for Humanity ministry out of 1,700 to reach the $1 million mark in tithing. In 2016, we were named the top tithing Ohio affiliate. Habitat for Humanity East Central Ohio is a leader among U.S. Habitat for Humanity ministries. We’ve been named the #1 affiliate in Ohio, and since 1995, we’ve remained in the top thirty Habitat for Humanity ministries in the United States. We take these honors seriously and work tirelessly to honor our mission of building homes, communities, and hope. Habitat for Humanity of Greater Canton was born through a small group of dedicated volunteers who were concerned about the housing needs of the city’s working poor. Through much prayer and hard work, the ministry’s first home was completed in November. Over 1,000 volunteers participated in the first multi-home blitz build, constructing 7 houses in 7 days on Canton, Ohio’s southeast side. Habitat for Humanity of Greater Canton celebrated its 10th anniversary by building its 100th house. To celebrate 15 years of ministry, the affiliate framed 15 houses in one week, including the ministry’s 200th home built in Canton, Ohio. Following over a year of prayer and planning, and months of renovation work by dedicated Habitat volunteers, the Habitat ReStore in Canton, Ohio opened in July on Leemont Avenue. The store served as a fundraising division of Habitat for Humanity of Greater Canton, and as a way to help keep usable items from ending up in a landfill. Learn more. Our affiliate was honored to become the 7th affiliate in the nation (out of 1,700) to tithe over $1 million. 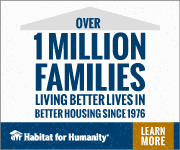 As a proud participant in Habitat International’s tithe program, we donate 10% of all our undesignated funds to build homes with Habitat affiliates in countries around the world. We continue this important tradition today, as tithe dollars from our affiliate are used to build homes Bangladesh, Poland, and Lesotho – in southern Africa. The affiliate expanded its service area to become Habitat for Humanity of Greater Stark and Carroll Counties, striving to offer hope to families in Canton, Massillon and other areas of Stark and Carroll Counties. The ReStore also expanded and moves to a new location on Cleveland Avenue in Canton, Ohio. Habitat for Humanity of Greater Stark and Carroll Counties set and reached a record-breaking goal of serving 30 families in one year. The affiliate marked 25 years of building hope, homes and community. Through the providence of a motivated seller and several very generous donors, the affiliate took steps toward having all aspects of the ministry under one roof with the purchase of the building at 1400 Raff Road SW in Canton, Ohio. For the first time, Habitat for Humanity East Central Ohio was named Favorite Nonprofit in The Canton Repository‘s Readers’ Choice Awards. A second Habitat for Humanity ReStore was opened in August in the same facility as the Habitat ministry offices on Raff Road SW in Canton, Ohio. The affiliate completed a merger with Habitat for Humanity of Tuscarawas Valley, Inc., expanding coverage area to the east central Ohio counties of Stark, Carroll, Tuscarawas, Harrison, and Jefferson. Our affiliate received the Clarence E. Jordan Award from Habitat for Humanity International for our Homeowner Maintenance Education Program (H.O.M.E.). For the first time, Habitat for Humanity East Central Ohio was named Favorite Nonprofit and Favorite Volunteer Opportunity in About Magazine‘s Local Faves. Serving Stark, Carroll, Tuscarawas, Harrison, and Jefferson Counties, Habitat for Humanity of Greater Stark and Carroll Counties officially renamed to Habitat for Humanity East Central Ohio. 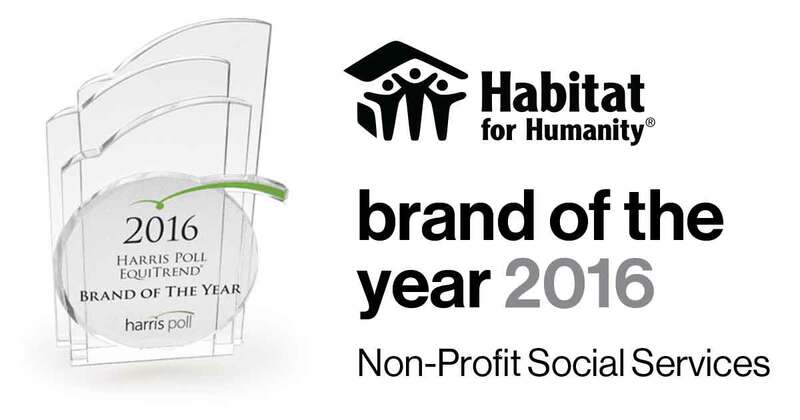 Habitat for Humanity was named the 2015 Social Services Nonprofit “Brand of the Year” by The Harris Poll EquiTrend. Learn more. For the second year in a row, Habitat for Humanity East Central Ohio was named Favorite Non-Profit and, for the first time, Habitat for Humanity ReStore was named Favorite Thrift Store in The Canton Repository‘s Readers’ Choice Awards. For the second year in a row, Habitat for Humanity ReStore was voted Favorite Thrift Store in The Canton Repository‘s Readers’ Choice Awards, and for the third year in a row, the Habitat ministry received praise for being one of the top non-profits in the community. For the second year in a row, Habitat for Humanity East Central Ohio was voted Favorite Volunteer Opportunity in About Magazine‘s Local Faves. 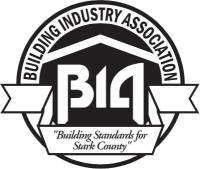 Habitat for Humanity East Central Ohio was also named the runner up for Favorite Nonprofit. Habitat for Humanity East Central Ohio was recognized by Habitat for Humanity International for being the top tithing affiliate in Ohio during fiscal year 2016. For the second year in a row, Habitat for Humanity was named the 2016 Social Services Nonprofit “Brand of the Year” by The Harris Poll EquiTrend. Habitat earned the further distinction of being the “Most Loved” and “Most Trusted” in this category. Habitat for Humanity East Central Ohio launched The Renewal Project, a four year, $3.5 million investment in the revitalization of one northeast Canton neighborhood. Read the news story. Habitat for Humanity East Central Ohio was honored to receive the Community Salute Award from the Canton, Ohio Regional Chamber of Commerce. In March, Habitat for Humanity ReStore merged the Cleveland Avenue location with the Raff Road location to better serve customers and improve experience. Habitat for Humanity East Central Ohio hits a milestone, celebrating 30 years of building homes and hope—1988 to 2018. Habitat for Humanity East Central Ohio and Habitat for Humanity ReStore were both named top rated nonprofits by the nonprofit search engine GreatNonProfits.org. Habitat for Humanity East Central Ohio earned the gold seal of transparency from nonprofit review website Guidestar.org. Partnership between Habitat for Humanity East Central Ohio and City of Canton earns national Audrey Nelson Community Development Award of Merit from National Community Development Association. Will you help write the story of the next 30 years?